Elite OB/GYN always appreciates feedback from our valued patients. To date, we’re thrilled to have collected 44 reviews with an average rating of 4.8 out of 5 stars. 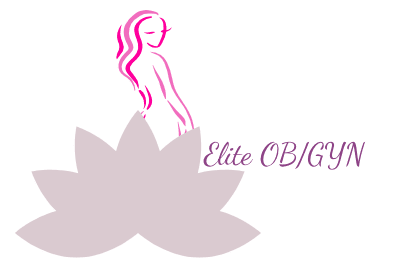 Please read what others are saying about Elite OB/GYN below, and as always, we would love to collect your feedback. I came in for my 1st obgyn visit at 16 weeks. Front desk was VERY sweet & kind. The MA Was very kind and attentive as well & Dr. Mahta was a sweet heart but I guess the time my appointment was, was very close to lunch time, they tried to squeeze me in to get an ultrasound sound with the Hispanic sonogram nurse, I felt as if she was in a hurry to get done with me so she could eat lunch. Her attitude was very rushing and short patient. I didn’t feel very welcomed and excited as for when I went to women’s hope center who had referred me to them, they made me feel comfortable and relaxed to get an ultrasound. But other than that, I had a great experience. Doctor was very informative, loving & helpful as well as her front desk & medical assistant. DR. KUSHLAK WAS VERY POLITE AND PATIENT. Great experience. They are caring, and the dr take time to listen to your concerns. From the moment I walked in the office, reception area was nice the receptionist was polite, efficient. wait time was only 10 minutes while I filled out paperwork, got right into see the doctor she let me lexplain everything that was going on with me I never felt rushed she’s a very good listener with great bedside manner wonderful doctor I would highly recommend her to anybody very professional and knowledgeable she’ll be my doctor for life.. Dr. kushlak nurse was also amazing very gentle taking my blood didn’t feel a thing! All staff are friendly and efficient . Dr. Kushlak listened very well to my current status and concerns. I think that she is very good and pleasant I will be back next year. I actually felt heard by Dr. Kushlak. She felt took the time to listen to my concerns, help me explore options and educate me. I felt listened too which is important at appointments like these. Everyone was pleasant- Dr.Kushlak seemed very knowledgeable. My first time there a friendly staff..Dr melissa Kushlak has all the information I need. Dr.Mehta was great, she took her time to explain all my concerns and questions. Will definitely to go back to her.